A new concept of machine focusing on efficiency and production costs reduction, offering many advantages. BMB capitalized on all the experience gained in two specific areas, the one dedicated to fast cycling machines and the other dedicated to full electric technology, and created this innovative series that combines their advantages. 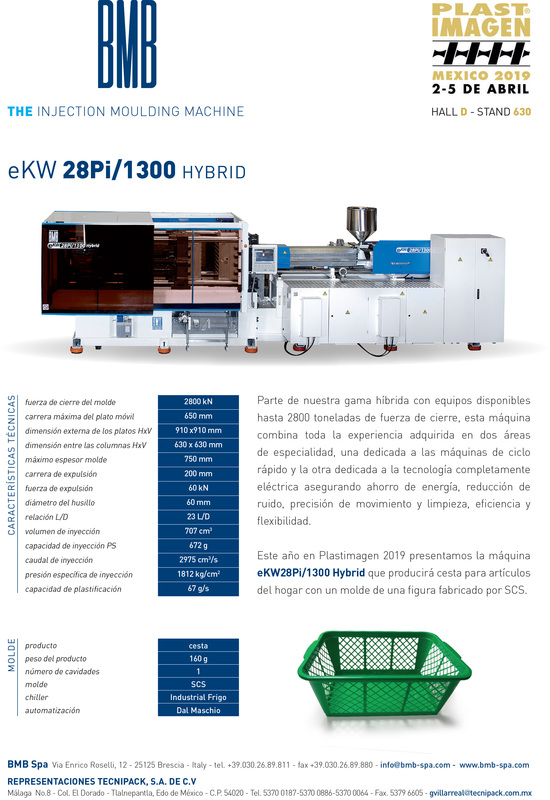 A machine that globally confirms the benefits of “full electric” technology, resulting in a combination of advantages i.e. increasing production rates whilst achieving cost reductions, the highest part quality and the lowest noise levels. A series of high-performance machines that has proven crucial to the growth of BMB and has been constantly updated and improved to provide multiple operational benefits and total reliability due to its specific technical characteristics.